Delegations from Telugu Association of North America (TANA) USA Vistited Kamma Maha Samajam,Coimbatore on 26th Dec,2016. 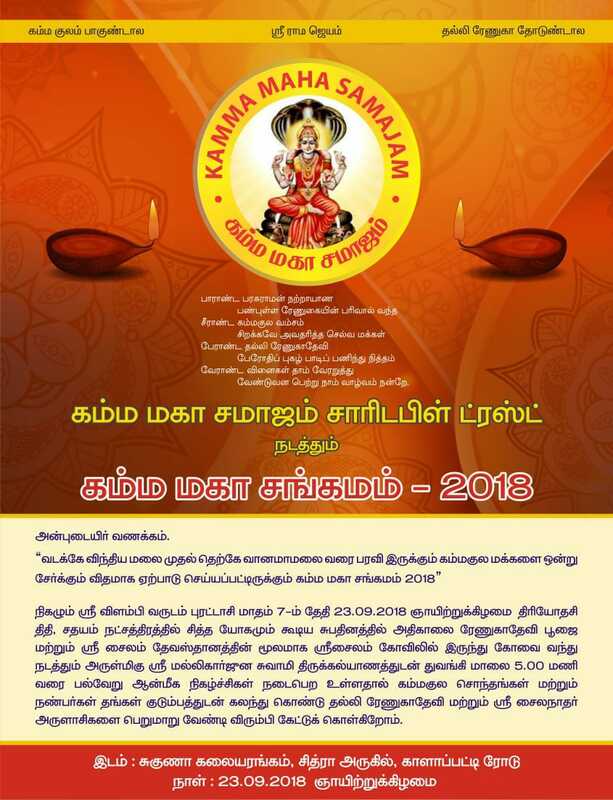 KAMMA MAHA SANGAMAM 2016 was held on 18th September 2016 at SUGUNA AUDITORIUM , Kalapatti Road, Coimbatore. We Kammas popularly recognized as Kamma Naidus or Kamma Naickers have predominance in states like Andhra Pradesh, TamilNadu and Karnataka. They are also recognized with Surnames like Naidus, Chaudhary’s, Naickers, Vadugars, Raos, Rayudu and Nayakas. The main objective of this association is to unite all people of Kamma Naidu Community under a single hand. To create awareness and to safeguard our community culture, heritage and customs. 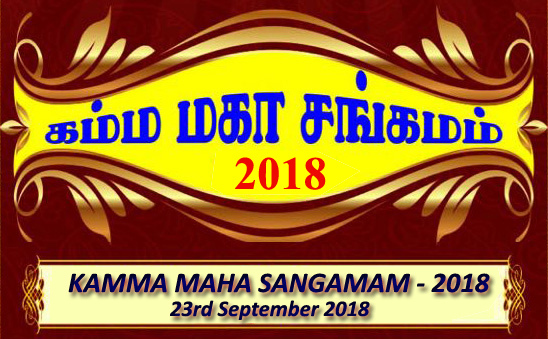 Kamma Maha Sangamam 2018 will be held on Sunday 23rd Sep, 2018. 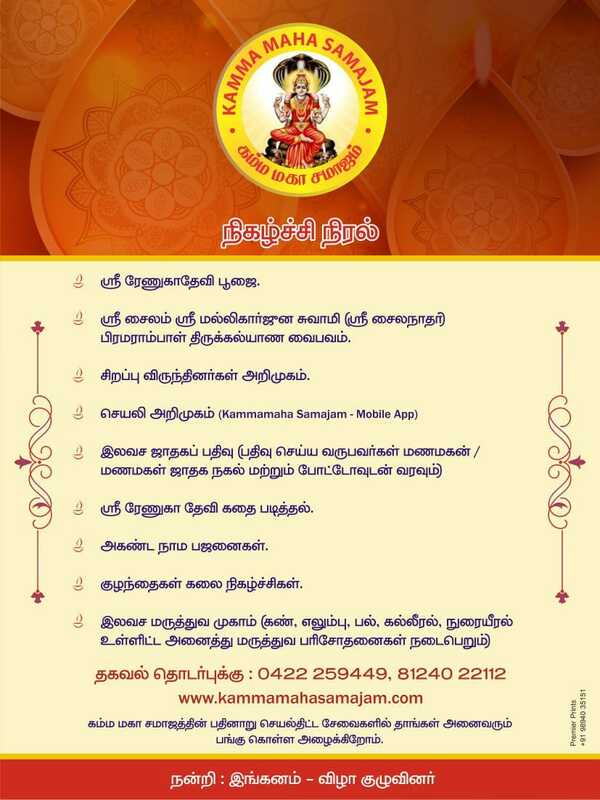 You can register at www.kammamahasamajam.com as a member to avail the following services. www.kammamahasamajam.com offers all services for free. After registration, you must activate your account. Check your email that you used during registration - Our system will send an email with the activation link. You must click on the activation link to activate your account. Check your spam folder if you did not receive the activation email in Inbox. Opposite RHR Hotel, Coimbatore-641 004. Copyright ©2016 Kamma Maha Samajam. All Rights Reserved.